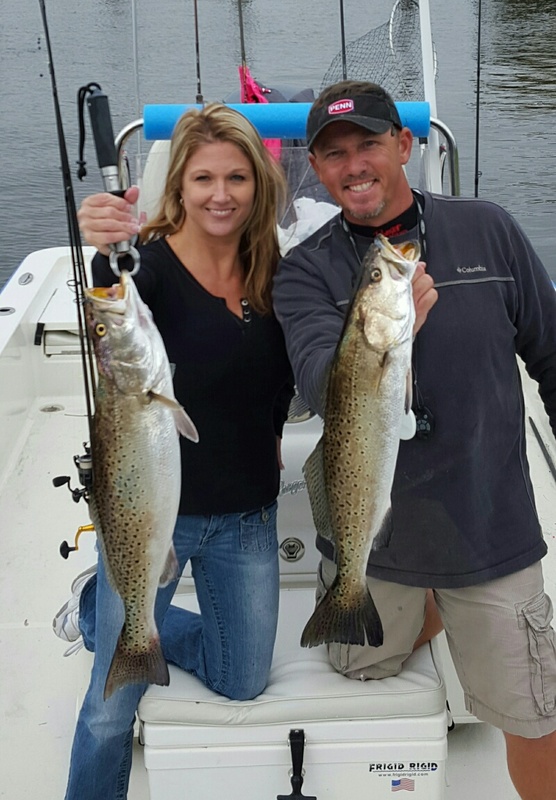 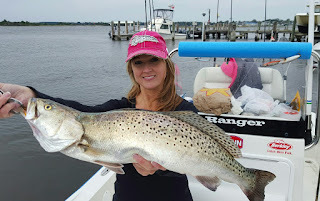 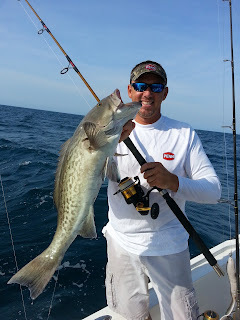 I had a break from charters this Sunday and took my wife Kellee out fishing. 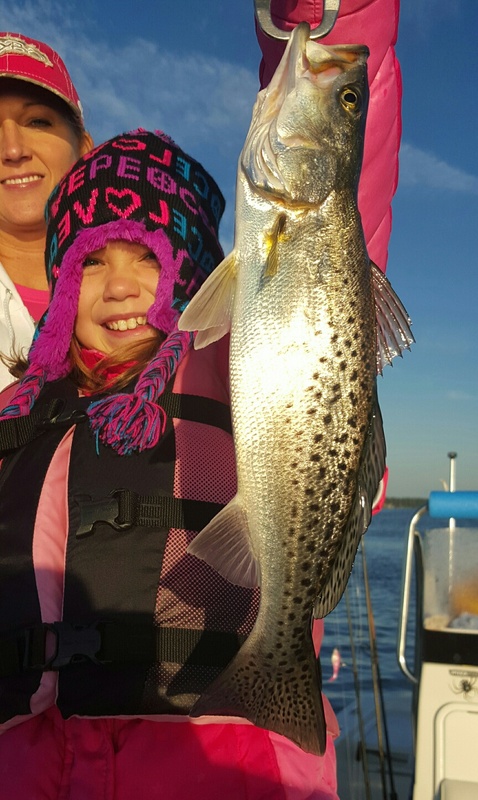 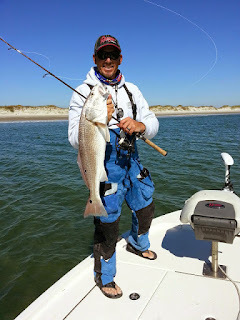 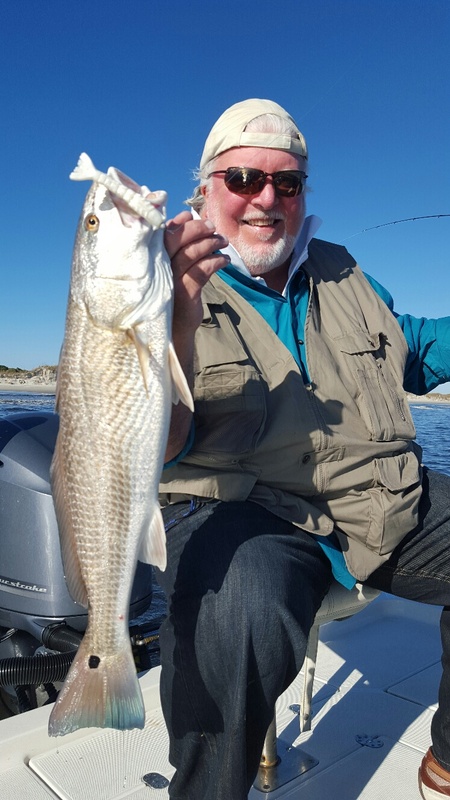 We tried a few spots for speckled trout using Berkley Gulp Shrimp on 1/16oz. 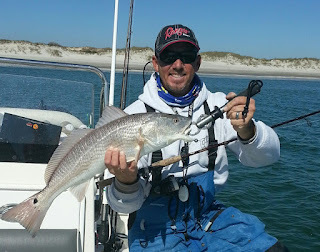 jigheads, Bett's Perfect Sinker Shrimp, and live shrimp under float corks. 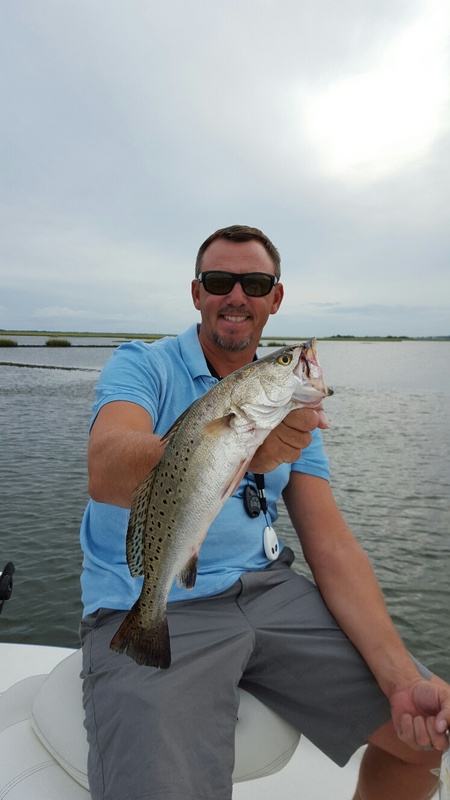 We caught plenty of Trout throughout the morning but, the highlight of the day was two Gator Trout we caught back to back. 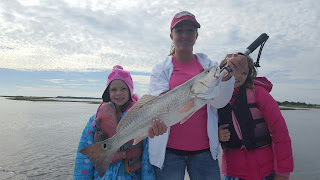 Kellee caught a 6lb 5oz. speckled trout that crushed a live shrimp and gave her an epic battle, thrashing all over the surface. Shortly after, I hooked up a 5lb 2oz. 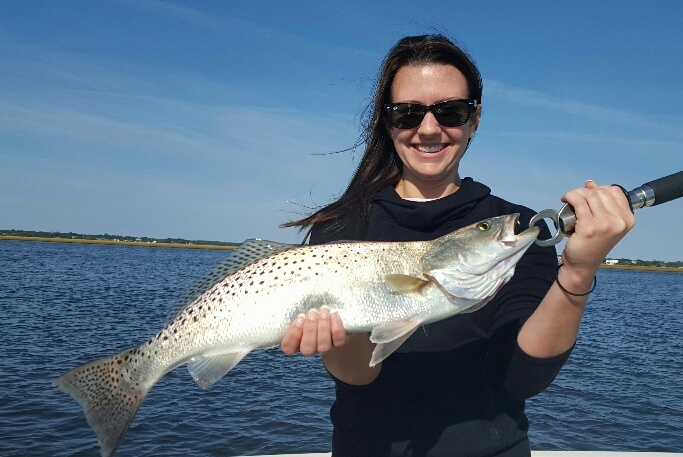 Trout on a Berkley Gulp 4in. pearl white shrimp. Great day! Congrats Kell on your biggest trout to date! 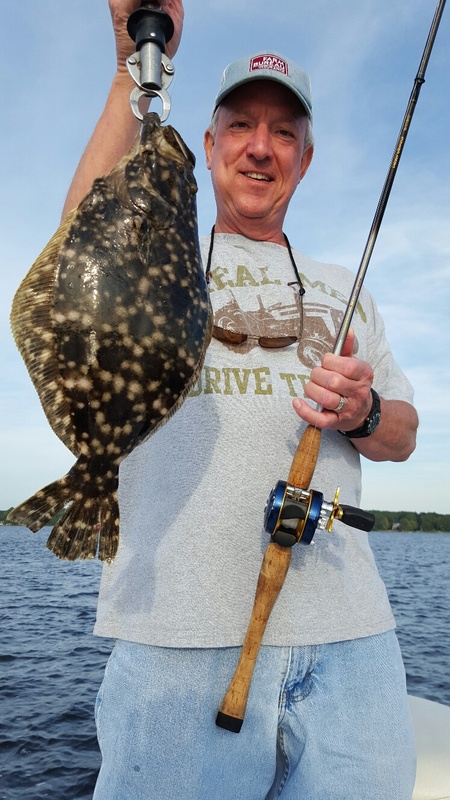 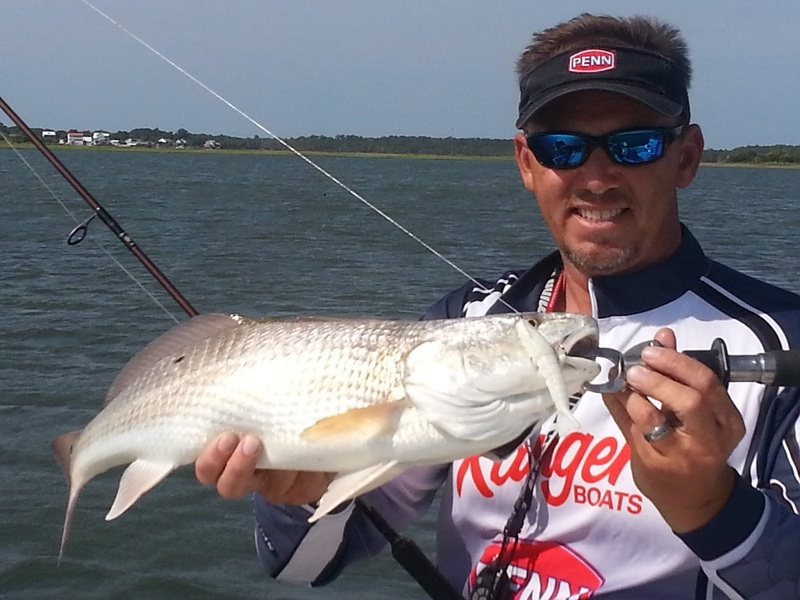 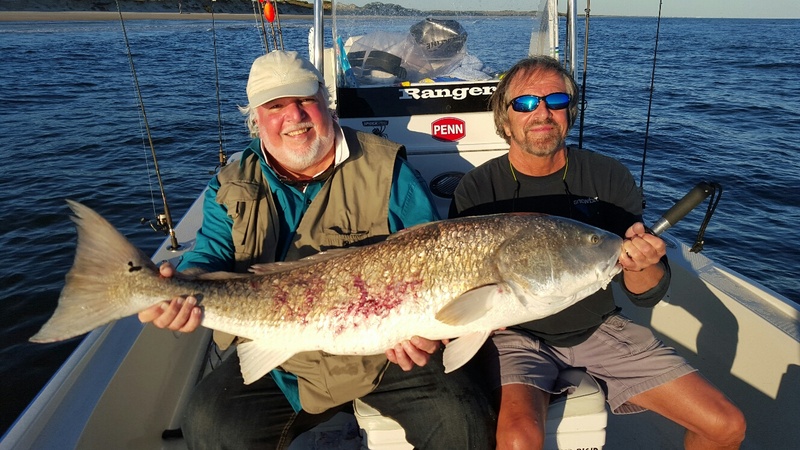 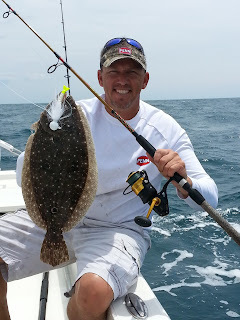 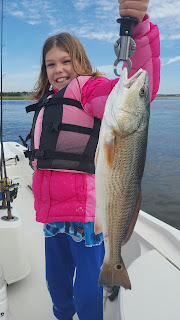 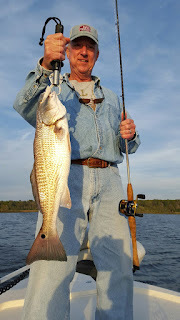 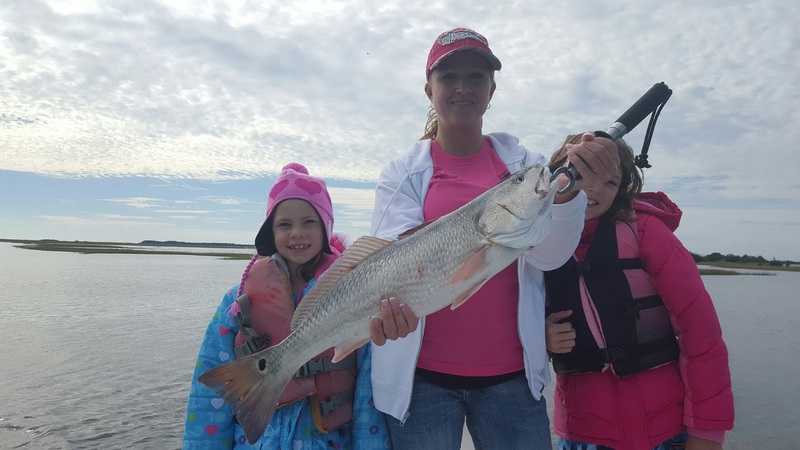 It's been a great summer fishing the Swansboro area and since Fall has set in we've been having fun fishing the backwaters for Redfish, Black Drum, Speckled Trout and Flounder! Check out some photos of recent trips below.